Her is one of those films that will divide the viewers. Some will think it’s the greatest thing since the last great thing and will talk enthusiastically about the hidden messages and meanings of the film, most probably in a pretentious and arrogant manner, especially to those who didn’t get it. Others will hate it, finding it a bore and will question exactly what is going on. I am afraid to say that I fall into the latter category. I really wanted to like it and it has qualities that did work but on the whole, it was a disappointing failure. Theodore works as a letter writer and is basically a very lonely and introvert man. His marriage has failed and he finds it hard to communicate to humans. He spends his evenings playing video games and using singles voice sites to indulge in sexual fantasies. He downloads a new system operation package to organise his day. The voice he gets is called Samantha. What starts off as friendly banter slowly builds into a relationship, in which Theodore seems to believe that this computer is his girlfriend and that Samantha is falling in love with him. I admire Spike Jonze as a film maker. He has produced some incredible movies in his time (Being John Malkovich is a modern classic) and I refuse to take anything away from his visuals. This is a luscious looking film, full of beautifully captured moments. Jonze has a cinematic eye and it’s pleasure to view a film this good-looking. 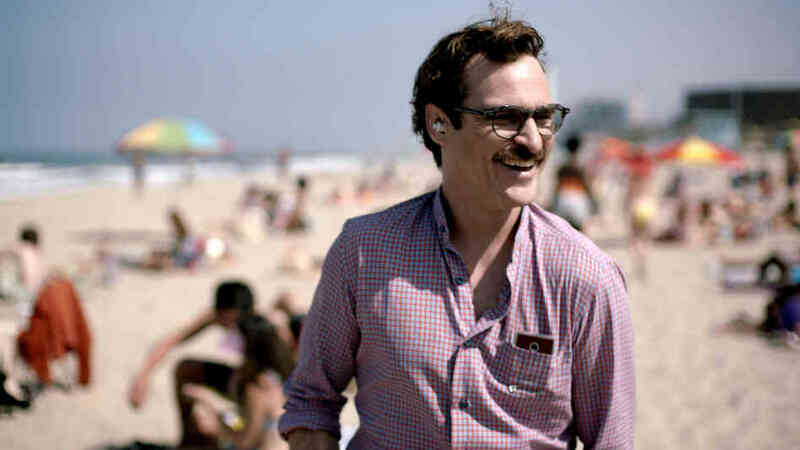 He also brings out a first-rate performance from the usually intense Joaquin Phoenix. As Theodore, this gentle spoken, somewhat unobtrusive man, Phoenix quietly underplays it and even though most of the film is on his face, he manages to bring out the subtleties of the character. It’s a joy to watch a terrific actor at work and it’s one of his best performances. Amy Adams, with her red hair softened, plays Theodore’s neighbour and friend, Amy, and while it’s not a huge role, she still gives it that same level of class that you almost come to expect from Ms Adams. As the voice of Samantha, Scarlet Johanssen manages to ooze sexuality and you can understand how someone can fall for just a voice. Interestingly enough, it was supposed to be Samantha Morton providing the System Operation but for some unknown reason, was replaced in the edit. Would be interesting to hear the difference. So with all these positive points, why didn’t I like the film? The main reason is I just didn’t connect to any of it. Firstly it moves at a snail’s pace and it has a sense of underlining depression about it, even for a far-fetched love story like this. You also are infuriated with the constant questions it throws up and even more irate when those questions aren’t answered. It’s one thing to leave your audience to think for themselves, it’s another to just ignore them and wander off, especially with the ambiguous ending. I struggled to believe in anything and I was asking things like: how can a computer have emotions? Is she real? Will we all eventually end up having affairs with our phones? There was no connection whatsoever and in order for you to emote with the characters and the situations, you have to feel part of the drama. It left in a void. I was also concerned that no one even thought it was weird that he had a girlfriend who was a computerised System Operations. Things got so out of hand when he took her, with friends, on a picnic! I can see why critics have been falling over this one, heaping tons of praise. In some cases, I get the impression that they want to part of “the team” and look really hip saying this is magnificent. It’s not. It may have all the trimmings of being an outstanding film but when you are left so much in the air, you cannot help but think to yourself, Spike Jonze ha a great concept but hasn’t really put in the homework and thus, we have a film that just doesn’t work. This should have been a 5 out of 5 movie. I can just about give it 3 and I refuse to take it home with me. It will only annoy me even more. The year’s first big disappointment.